The attention of Kwara Must Change has been brought to the lame remarks by the Director General of Bukola Saraki constituency office in person Alh Musa Abdullahi, who claimed that people who rejected Saraki’s deceit and babiallah kind of leadership in our revered Agbaji community are never successful. To our understanding, this kind of faithless remark can only emanate from a person who is in prison of the mind. Before his appointment as DG of Saraki’s constituency office, Alh Musa often share the feelings and messages of youths in Agbaji community about the mind blowing under-development and unemployment in the community. 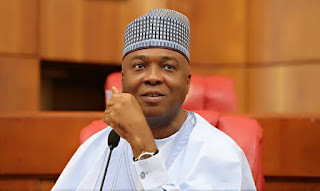 Even to the blind, it was widely agreed that Bukola Saraki is a failure, not just in the whole of Kwara State, but also in his immediate community of Agbaji. This is why the entire youths of Agbaja supported the recall of Saraki, previously aborted due to INEC’s culpability. Sensing that the people of Agbaji have equally resolved to send him parking like the rest of Kwara, Saraki promptly looked for someone whose loyalty is strictly tithed to their belly and Alh Musa was identified. It was for the purpose of silencing and misleading people and buying few others that he was appointed DG. Immediately he was appointed, he suddenly turned his back on the same youths and singing a different song. He neglected the community for a long time and promptly enriched his pocket, only to resurface now that the election is getting close, claiming that those who rejected Saraki are not successful. For us at Kwara Must Change, we believe that only Allah has the capacity to make people successful and only he can enrich whomever he wills, without resort to any other man. Evidences of people enriched by Allah abound in our communities. Through talent and hard work, many in our community have tested success beyond what any man have ever offer. We therefore find the statement of Alh Musa as a remark from someone who doesn’t believe in Allah, subhanahu watahala, thereby equating man to God. In truth, for people like Alhaji Musa, who have been held captive in Saraki’s dungeon for decades, such remark maybe true. But for all hard working Kwarans, particularly the youths in Agbaji, who put Allah first and work hard using their God given intellect, nothing can be further from the truth. We are therefore using this opportunity to inform all well-meaning Kwarans that the first place Saraki will be defeated in 2019 is in Agbaji community. For us, Saraki is now a past tense. We can say it very proudly and authoritatively that 2019 will be the end of Saraki’s deceit in Agbaji community and Kwara as a whole.